As mentioned, clearing out some excess, unused gear. Payment via PayPal; barter a possibility. All prices include US shipping via USPS - small things will go First Class, larger things will go priority. And I'll likely toss in some free swag/surprises, too. Sorry, no International shipping. Happy to combine shipping if you buy multiple items to save some moola. If you want an item, say so in the comments and shoot me an e-mail at teotwawki.blog@gmail.com with the item name in the subject line. HSGI Pistol Tacos in MultiCam with a 3-finger Raven Concealement Moduloader to allow for belt carry. 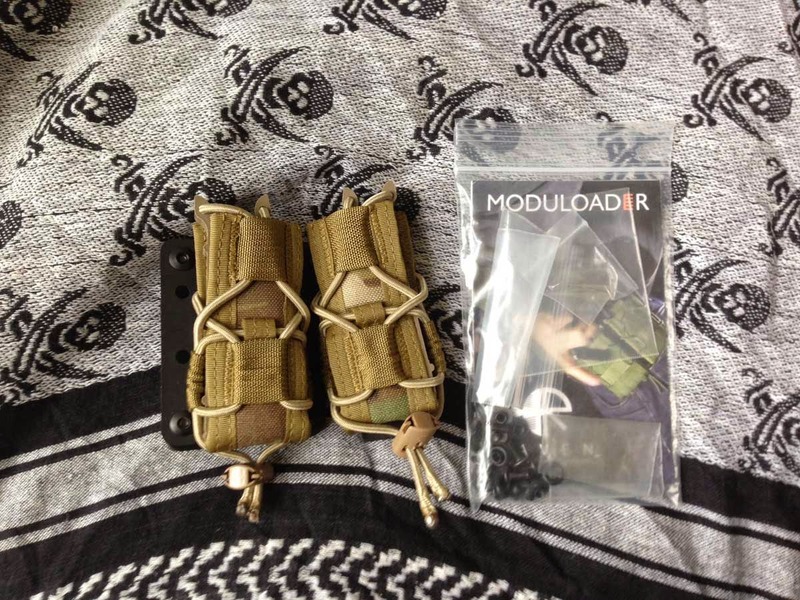 The Moduloader was upgraded to the paddle attachment. More details on the Moduloader at RCS. Asking $SOLD. 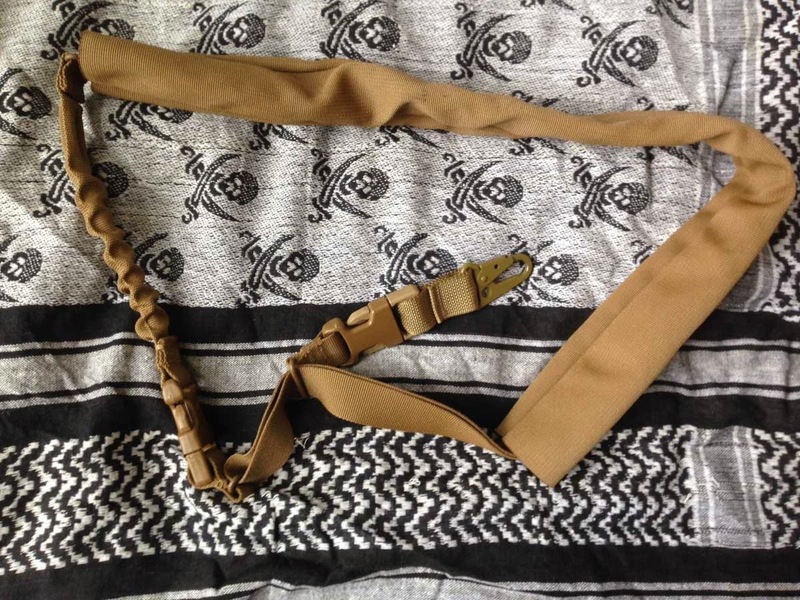 PIG Drop-Slider mk 2 (bungee) single point sling in Coyote Brown, with HK attachment. $30 shipped. 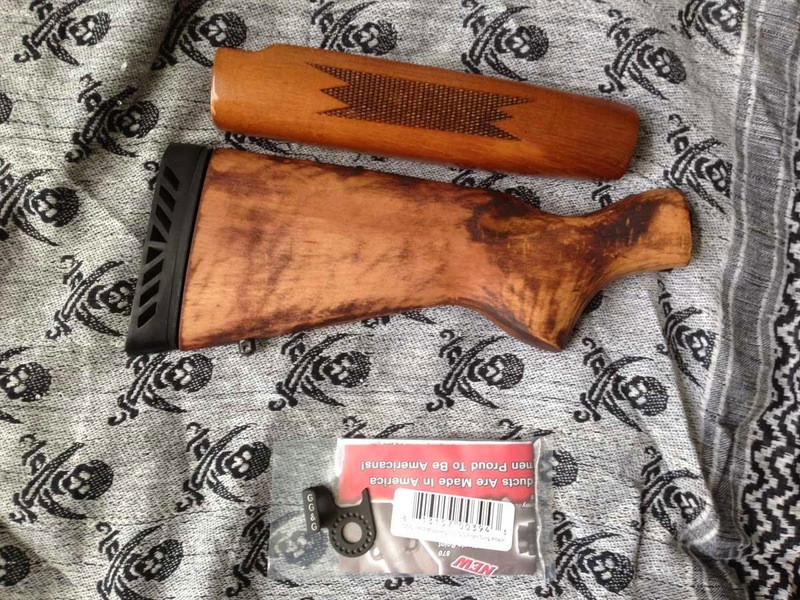 Older, non-matched wood stock set for Mossberg shotguns. Stock has a 13"-ish LOP. Stock needs to be refinished or at least lacquered. $22 shipped. 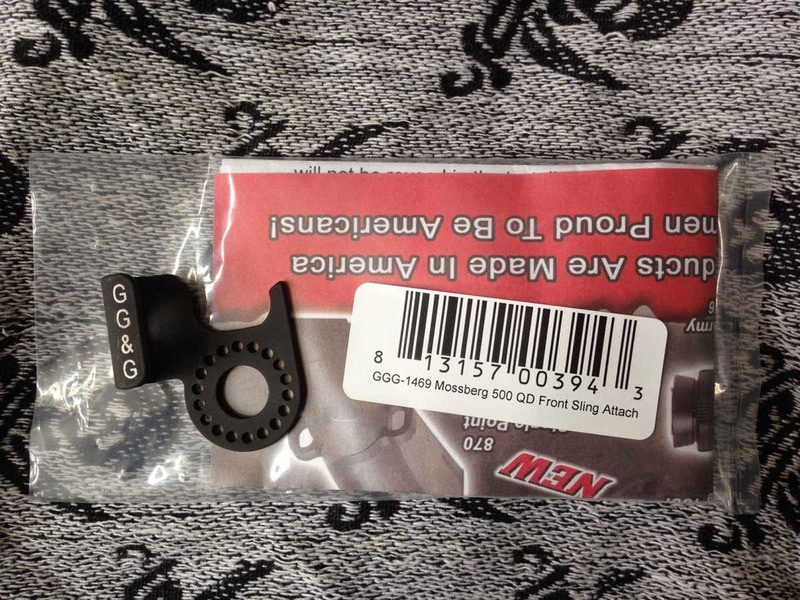 No bolt included for attaching the stock. GG&G Mossberg 500 QD front sling attachment. $7 shipped. 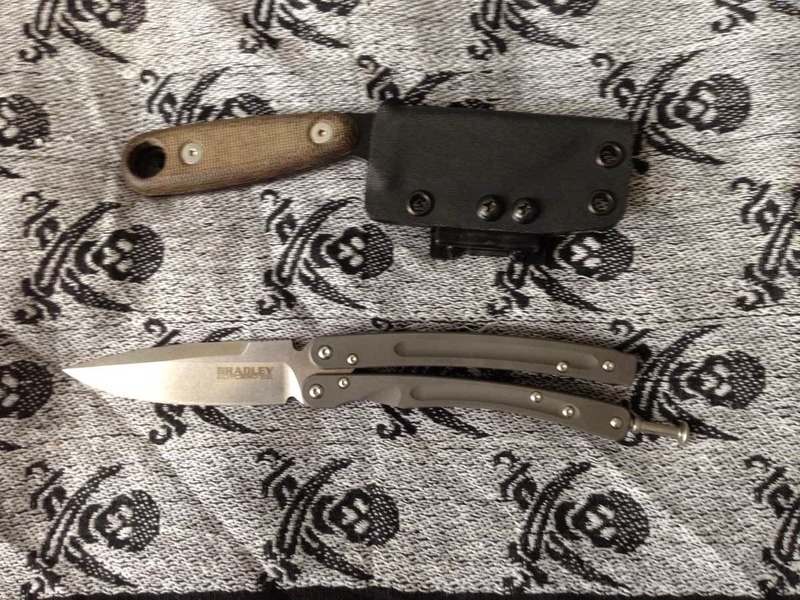 (bottom) Bradley Mayhem balisong. Awesome bali in great shape. Have box and papers. I don't think they make these anymore. $SOLD. 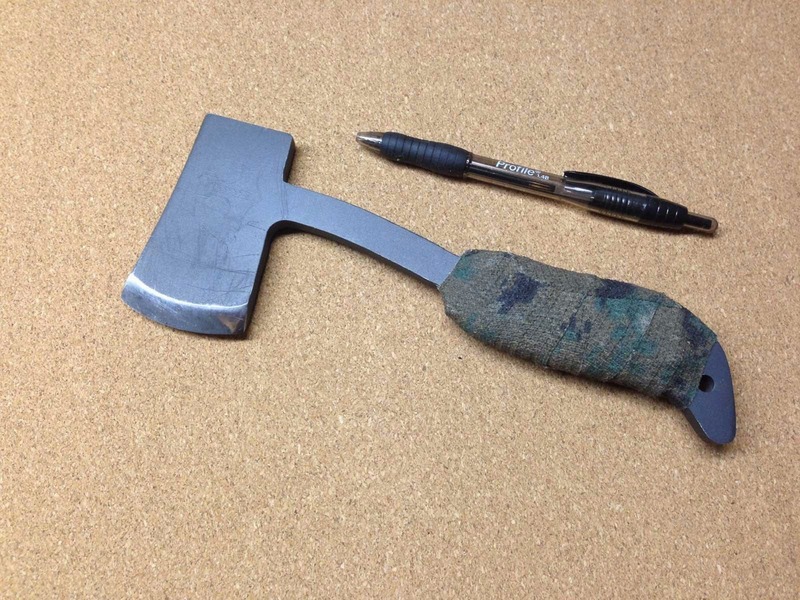 Roger's Belt Hatchet. Made by Iron Hammer Armory, with the Domari Nolo (booo!) logo on one side. I've added some camo form to help with the grip. Has seen some use, shows wear. Asking $45 shipped. That's all for now - will be adding more later!